Latest Updated on 06.11.2018 : CISF has Released Constable Trademan Written exam Result Proceeded For Medical…..Download The List Through the Link Given Below…………. 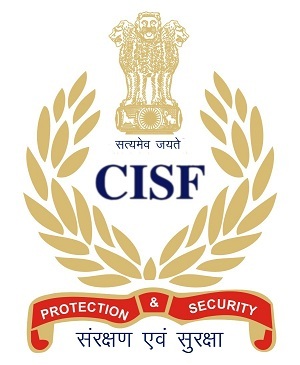 Central Industrial Security Force (CISF) had invited applications for Posts of Constable (Tradesman) for various trades such as Barber, Boot Maker, Cook, Carpenter, Electrician, Motor Pump Attendant, Painter, Sweeper, Washer Man & Water Carrier. Under this recruitment process, candidates who have applied will go through various tests. Candidates Applied for these Posts from 14/10/2017 to 20/11/2017. Here the Candidates Can Check there Recruitment Details From the Below Provided Link. Candidates are advised to keep visiting this page on regular basis to check CISF Constable Tradesman Result, Merit List and Cut-off Marks alongwith the information of Joining date and Joining letter. Delhi police ke exam ke liye MAHARASTRA se hai kya koi. Bhai jiska jiska huaa hai kripa karke apne apne number or category bata do jis kisi ka nahi huaa hai oo dekh le..
किया हुआ सर जी ओडिशा का कोई भी selection Nai हुआ है किया?